In this periodic series of articles, we’ll explore how digital transformation is changing every aspect and activity of the retail experience — not just in customer-facing exchanges, but also throughout the back-office operations of your enterprise. Many of the challenges associated with digital transformation are not new, but now carry an urgency unique to the pace of change. That it comes a quick 20 years after our last great transformative revolution — one which saw computing power massively scale — makes the pace of the Industrial Revolution look glacial by comparison. 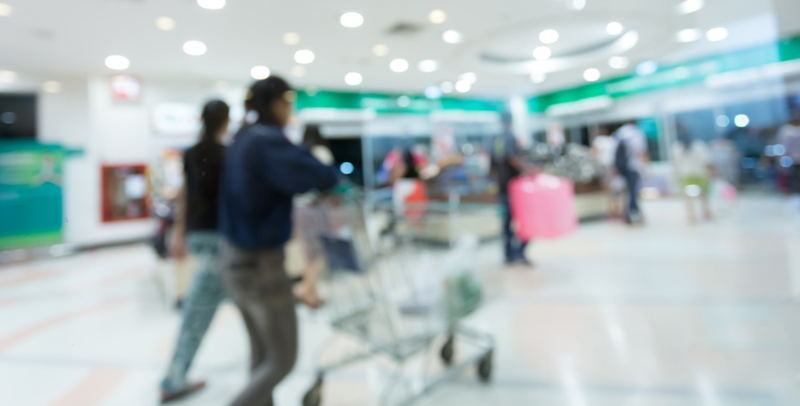 This accelerating timeline of change shows no signs of slowing down and smart retailers recognize, in addition to changes in technology, they must anticipate the pace of the change as well. Digital transformation, widely accepted as revolutionary, differs from earlier technological shifts in one important regard: it is as much about philosophy as it is technology. Implementing transactional solutions — whether ERP, WMS, BI or PLM, alone or in combination — the focus was always on the technology; get it installed, get people trained, then launch. The transactional capabilities set expectations and drove activities in a comparatively linear way. Overtime, like ripples in a pond, the application in use would create opportunity for changes in a variety of areas – productivity, analysis and reporting, collaboration and many others. Companies are faced with a stark choice: adapt or decline. New capabilities, supported by technologies, force a response. The retailer’s challenge is in two parts; first, to understand the new technologies and then to adapt to make full use of it. In doing so, you set the organization on a course without the guidelines familiar to earlier technology initiatives. Perhaps, most critically, it requires letting go of the past. Organizations need to be simultaneously adept at both implementation and experimentation. Failure to recognize this at the outset has resulted in many retailers struggling to understand why their substantial investment in capital and human resources is not generating the return on investment they, their shareholders and customers expect. The past is no longer prologue. Retailers whose digital strategy is anchored in leveraging “what’s made us successful in the past” are doomed to failure. That Amazon is regarded as the leader in digital transformation in retailing reinforces this fallacy. Amazon transformed nothing; they formed everything. Amazon started with a philosophy around customer engagement and built from that. This distinction is fundamental to understanding where to begin and how to proceed in transforming your own organization. As we’re forced every day to recognize that our customers must be at the center of all activities of the enterprise, it becomes startlingly clear that doing so requires the adoption of new philosophies and principles. To begin, we’ll leave you with this challenge: Define your future ideal customer. What are their characteristics? Why is this customer important to you? Why should you be important to them? How do they differ from your customers of today? The answers to these questions begin your digital transformation journey. In coming articles, we’ll talk more specifically about ways to nurture this transformative philosophy and use it to shape original and competitive customer experiences, operational processes and business models. We hope you’ll find these informative and helpful to your strategic and tactical planning exercises and look forward to hearing from you.